Recently IBPS has released the provisional allotment for those candidates who have got shortlisted for the post of officer scale-I and office Assistant (Multipurpose). The IBPS RRB Office Assistant Mains Examination happened on 11th November, 2017 and many aspirants have been asking us with the queries regarding the IBPS RRB Office Assistant Mains Examination cut off marks 2017.
we have already posted the expected cutoff marks of the exams of all the recently finished exam and our analysis have been fruitful for the aspirants and our analytics about every exam is near to accurate. We have been correct in bringing the Cutoff marks of various exams in the recent times, so with the same intent we are now providing the cutoff marks of IBPS RRB Office Assistant Mains Examination 2017. So you may even encounter a question why there is huge difference in the expected cutoff range as that should have to be less. We have analyzed the previous year cutoff marks for the IBPS RRB Office Assistant Exams and also considering the total number of questions attended in the exam and considering the accuracy rate. Much of the candidates have mentioned the accuracy to be equal to 70% in their feedback, so the cutoff marks of the IBPS RRB Office Assistant Mains Examination to be from 115 to 140. You can check the reviews of the IBPS RRB Office Assistant Mains Examination 2017 from the link given below. You can also check the general awareness questions asked in the IBPS RRB – Office Assistant Mains Examination 2017 from the link given below. 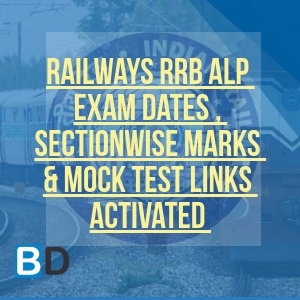 You can check the previous cutoff marks for all the states of the IBPS RRB Mains Examination 2016 from the link and this will give you an insight of how this year cutoff will be , so please click the link below to know the cutoff marks.